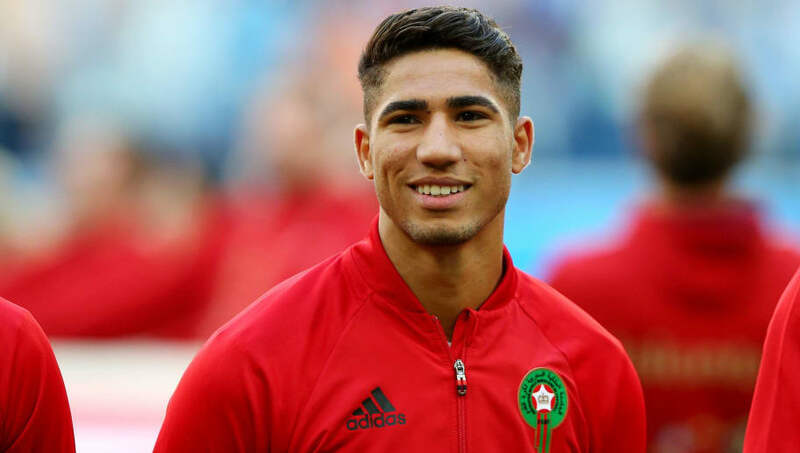 ​Bundesliga giants Borussia Dortmund have announced the signing for Morocco international defender Achraf Hakimi from Real Madrid. The 19-year-old has signed a two-year loan deal with the Westphalian club and looks set to offer cover to first team defenders Łukasz Piszczek and Marcel Schmelzer. Hakimi is a fully fledged Morocco international with 13 caps under his belt, with his only goal for the Lions of the Atlas coming in a 6-0 win over Mali during the qualification phase of the 2018 World Cup. The teenager also made three appearances at the World Cup finals this summer, featuring in defeats to Iran and Portugal, as well as their 2-2 draw with Spain. Hakimi, who was born in Madrid, has been on the rise in Los Blancos' Castilla squad over the last two years. He has even made 17 appearances with Real Madrid's senior squad, often appearing on the right side of a back four. In nine ​La Liga appearances last season, Hakimi impressively racked up a tally of two goals. His first came in a 5-0 thrashing of Sevilla, whilst his second was in the club's final home game of the season against Celta Vigo. Borussia Dortmund have been in the market for a full back after Felix Passlack was loaned out to ​Norwich City earlier this summer. Hakimi's arrival should spell an end to Dortmund being forced to use centre backs on either wing, a position that sometimes had to be filled by Dan Axel-Zagadou or Manuel Akanji last season.